What Makes Upskill Both a Locally and Nationally Recognized “Best Workplace?” It’s about Mission and Culture. This week the Washington Post released its annual special report on the “Top Workplaces” in the Greater Washington Area, and Upskill was named among them—we couldn’t be more thrilled! What’s more, this comes on the heels of also recently being an Inc. Best Workplace for the second year in a row! 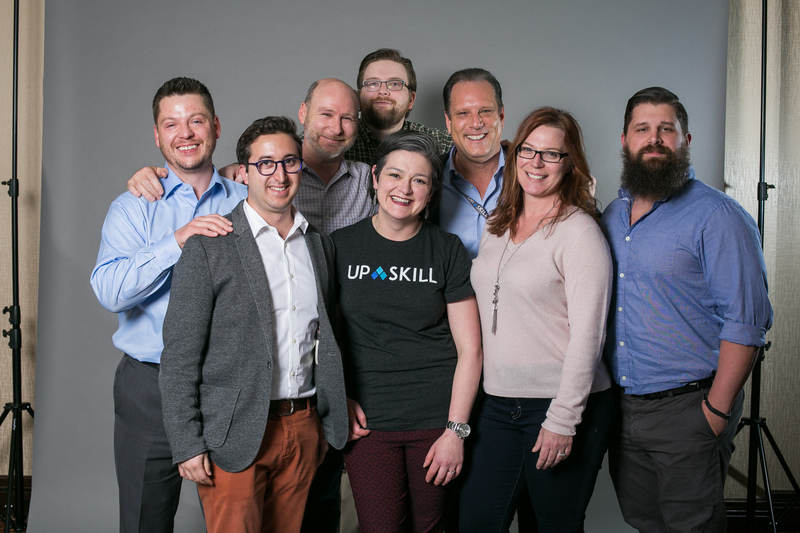 Upskill is a company that proudly fosters teamwork by creating an environment where everyone has a voice – solutions and ideas can come from anyone, anywhere within the organization. Our recent move to a new, open office space (a “town hall” format) for our DC headquarters is a testament to our commitment to teamwork and collaboration. The office’s design complements the solutions we create and inspires our employees to work together to drive innovation. Later this fall we will move our team based in Austin, affectionately called “Sunspear”, to a similar new working space downtown. But, this collaborative mindset is nothing new. From the beginning, we’ve believed in providing employees with rich benefits and a flexible environment that empowers them to make their own decisions about how they work. In addition to our communal office space (that features a fully stocked kitchen, large open lounge and meeting room area, a corporate gym, a rec room and more), we give employees the option to work where they want, how they want – whether from home, at a standing desk, on a couch, or even in a room with yoga mats. Other offered perks that show our commitment to culture include flexible paid time off; maternity and paternity leave; very competitive benefits package; competitive salary with equity upside; quarterly retreats and company gatherings that include family. “Exciting” – the most frequently used term to describe Upskill’s work environment. While Upskill may have won these awards, it’s really our employees that make the difference. We are honored to receive these awards and even more honored to have such a positive and motivated team.